The escalating potential for artificial intelligence (AI) to the world of diagnostic tools is a heady stuff. Precisely because the oceans of data from galaxies of sensors can be so deep and the algorithms so convoluted, replicated studies and other means of clinical validation are critically important to prove that the conclusions are accurate. If, for example, we rely on AI to protect our water supplies or to predict clinical outcomes and go further to make critical funding or development decisions based on those systems, our confidence has to be airtight (or at least have faith that it will do at least as well as a human). You know how some people will observe that an individual has “that look”? Patients who have the same condition often seem to share some common visual characteristics. Face2Gene is an AI system that takes this observation a bit further. It employs deep learning and computer vision to construct syndrome-specific, computational-based classifiers called “syndrome gestalts” based on phenotypic traits. 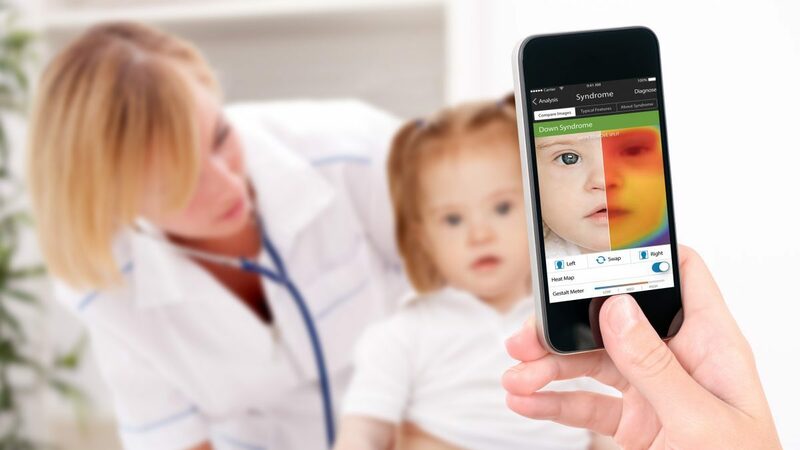 According to Face2Gene, it uses real-world phenotype data with millions of data points for “unique health insights and genomics discoveries.” The company’s disclaimer states that “Face2Gene is a search and reference tool provided for informational purposes and not intended to replace the clinician’s judgment or experience, nor should it be used to diagnose or treat medical conditions.” The free service is only available to healthcare professionals. Doctors who upload patient photos and data to the Face2Gene community are assured that the photos are de-identified in the HIPAA-compliant security system. Only the uploading physician, for example, would be able to view the actual photo, but de-identified binary information from the photos goes into the pool.